I’ve been a LEGO fan for as long as I can remember. My first set came in a big blue bucket with a classic brick shaped lid. It was a basic set full of primary-colored bricks. I’m not even sure if it came with instructions, but I spent hours and hours building things. I remember thinking if only I were a boy, I would totally have been picked for the role of Zack (the Lego Maniac). At Christmas-time, I was banned from touching or shaking any presents under the tree until it was time to open them. My parents knew that LEGO rattle would have been a dead giveaway. Growing up, my bedroom was full of Pirates at war with Soldiers, cars, airplanes and whatever random creations I came up with. It’s safe to say LEGOs were “the toy” of my childhood. So when it was time for me to have children, my excitement for LEGOs practically exploded! My husband didn’t play with LEGOs quite as much growing up so it took him a while to come around. I remember when we first started buying sets for Oscar, we would build them and he would immediately take them apart to make something new. Jerry commented that he was going to glue them together because the thought of the sets being separated was too much. Since then, we’ve settled into our own little groove as a LEGO family. Now that Oscar is 6 and building sets on his own, it’s kind of like Christmas for us. 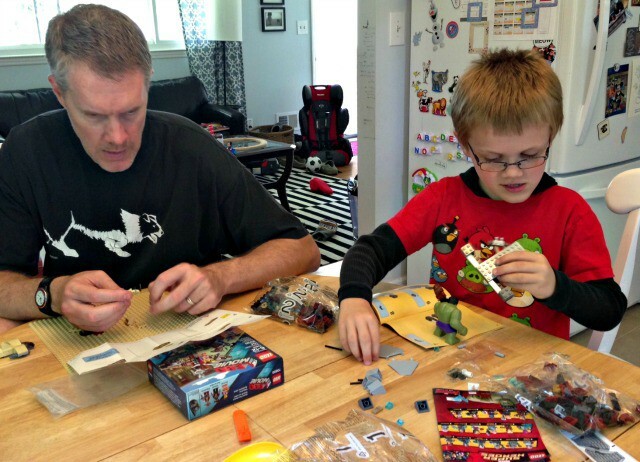 He can literally spend hours putting sets together and coming up with what he likes to call “epic battles”. 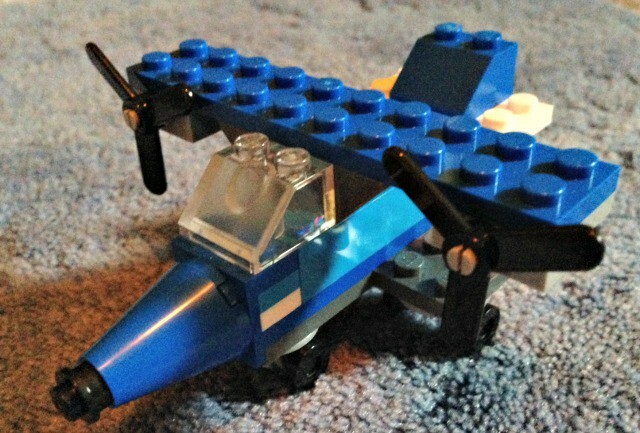 After I returned home with a new set of LEGOs for Oscar (courtesy of LEGO at the Mom 2.0 Conference) he’s been spending his mornings making everything from animals to airplanes. We’ve been a DUPLO family for a few years, but there is just something about the smaller bricks that kids love. 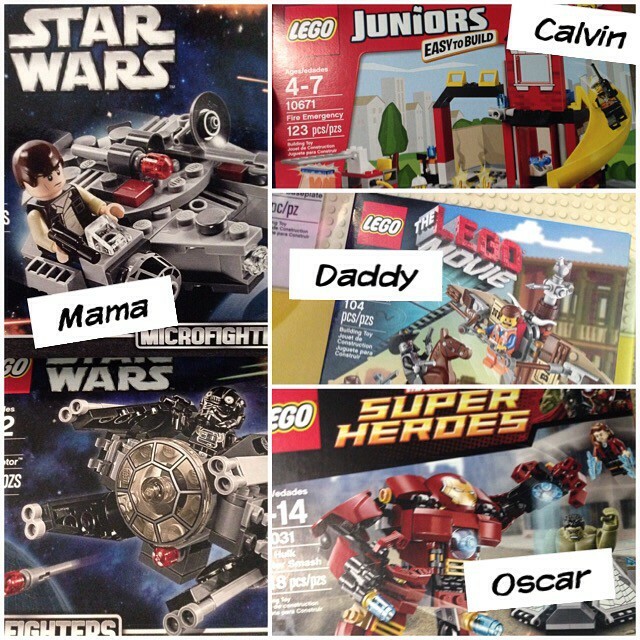 Even Calvin is getting into the fun with his very first LEGO Junior set! These sets are awesome because they use the traditional blocks but have fewer pieces and even simpler instructions that are great for preschoolers. As Star Wars fans, we recently enjoyed the May the 4th festivities at local stores. We went to a free build at Toys’R’Us and decided we each needed a new set. 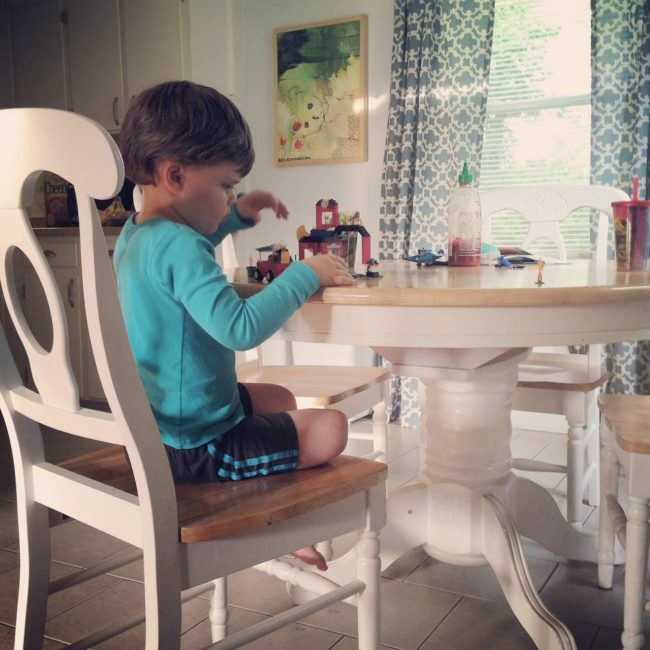 As the whole family sat at the kitchen table, each working on their own set, I was just amazed at how one toy can be so entertaining at all ages. It’s just FUN! There are few toys that bring everyone together in this way, which is why I think LEGO has been so successful over the years. In a few months, we’ll be traveling again to Walt Disney World Resort and do you know what has Oscar excited? Knowing he will get to pick out a souvenir at the LEGO Store. I guess we’d better start saving now. 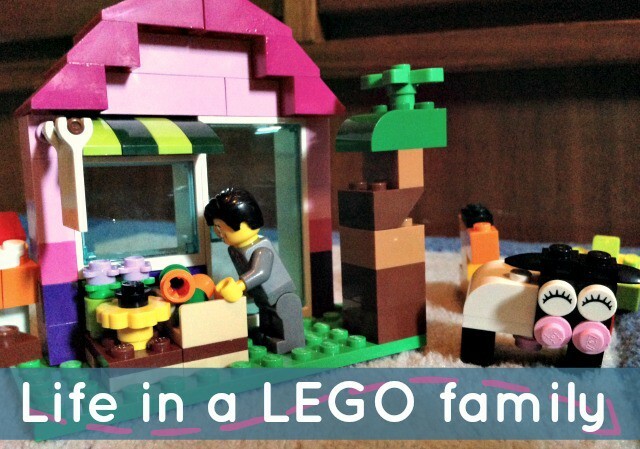 Are you a LEGO family? If a blog has no page views, do the words disappear? The post that’s all about Andrew McCarthy. Sort of.